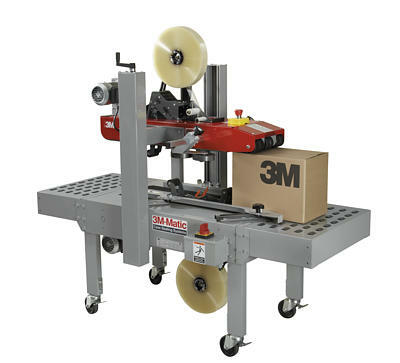 Adjustable top and bottom belt drive case sealer to dependably seal uniform cases. Includes 3M™ AccuGlide™ Taping Head 2+ for low impact application of tape 36mm to 48mm wide. Handles broad range of carton sizes from 6" width to 21.5" width and 3.5" high to 21.5" high. Ideal for operations currently taping boxes by hand.